Happy Friday everyone! I don't have much to say today in terms of an introduction, so I won't waste any time. Let's get to my favorites of the week, along with some outfits that I wore (apparently I was feeling very pink this week), some TV show talk, and my favorite songs that I've been listening to. I hope you all have a great weekend! One of my favorite brands of tea is Good Earth. They make some really interesting flavors, and everything that I've tried from them has been delicious! I decided to give the Citrus Kiss flavor a try, and it might be my new favorite! The flavor is slightly tart and sweet at the same time, and I don't even need to add sweetener to it. I love the fact that it's decaffeinated as well- and I really like the little life lessons and words of wisdom that are on each tag! My newest podcast obsession is the Lively Show. Jess is such a positive, encouraging person who conducts weekly interviews with inspiring people. I love the wide variety of topics that she discusses, from how to live a zero-waste lifestyle to living your best life. I'm obsessed with this one and hearing her cheery jingle always puts me in a great mood! I was especially inspired by her recent interview with Brooke Castillo on experiencing more positive emotions everyday, and I'll be writing a blog post about this topic later this month. It might be a little pre-mature to say that spring has arrived, but I really enjoyed the warmer weather this week! I know that everyone else was as well because my Instagram, Twitter, Facebook and Snapchat feeds were all full of people talking about the weather! After a few months of freezing temperatures and a mixture of snow and ice, it was nice to break out my shorts a few times and go on long walks with Selma. I know this was also a favorite of hers this week- just look at that smile! I'm constantly trying out new recipes, so in my Friday Favorites I want to start incorporating some of my favorite recipes from the week! If you follow me on snapchat (gretchxo) I also share what I'm cooking and snap while I cook about twice a week. I like to pretend it's my little cooking show, so I would love it if you joined in! I tried out another recipe from the Pioneer Woman cookbook- Pasta Puttanesca. It was a really quick and easy recipe to put together, but had a hearty, rich taste and was even better as left overs the next day. I followed the recipe as-is, but next time I'll probably cook the garlic with the onions to get more flavor out of it. During my weekly meal prep (which I do every Sunday) I tried out Budget Byte's Oatmeal Cookie Baked Oatmeal. This recipe was actually featured on Food Network's Snapchat story, and it used a lot of ingredients that I was trying to get rid of. Perfect! The recipe was easy to follow, and I customized it a bit by using dried cherries instead of raisins, and adding some mashed banana in place of all of the applesauce (I was just a little short!). I loved having this for easy breakfasts or a snack after work! In case you didn't know, I (try to) reply to every comment that's left on my posts. 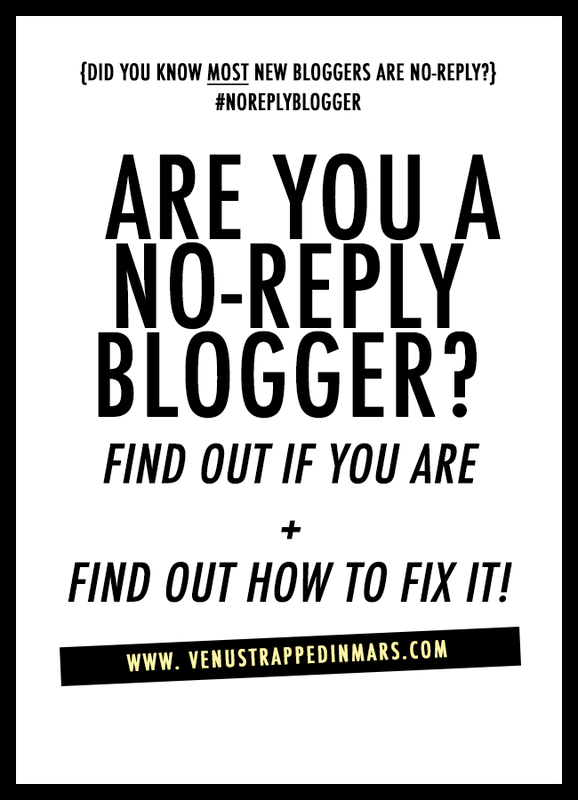 Unfortunately, the way that Blogger is set up, you aren't notified that I respond! This year, I decided to also respond to as many comments as possible via email. The majority of the comments that are left are sent by "no-reply bloggers", which means that I can't send a response! This is really easy to fix, and Kristen was kind enough to send me a tutorial on how to change it (since I was also a no-reply blogger). If you're interested in fixing this on your profile so that I can respond to your comments, just follow this tutorial here! If you have any questions about it feel free to send me an email :) I can't wait to chat with more of you! Hair Food moisture hair mask : I didn't really notice a huge difference in my hair when I used this mask, so I wouldn't repurchase. Maybelline Age Rewind concealer : My absolute favorite under eye concealer! This product covers everything and is really easy to apply and blend out. Josie Maran Coconut Watercolor eyeshadow : This was my every day shadow because it looks so beautiful and is really easy to use. I will definitely be buying more! Fresh Sugar balm : This is a really hydrating balm, but it's really expensive and I find it a bit too creamy and messy to apply. Trader Joe's Tea Tree Tingle shampoo : I love the scent of this shampoo, and it made my hair feel so clean! Trader Joe's Natural facial cleansing pads : I like to use cleansing pads to quickly clean my face after workouts, but I wasn't a huge fan of these. You still have to rinse your face after using them which doesn't save time in the long run. I prefer using the Witch Hazel packets which I can throw in my bag and use on the go! Cover Girl Outlast Stay Fabulous foundation : This is my all-time favorite foundation! It looks so great on and is really buildable for light to full coverage. I love the pump as well! One Love Organics Gardenia + Tea body serum : I really loved the formula and feel of this product, but I wasn't a fan of the scent. I'm not really a gardenia fan unfortunately! Trader Joe's All-in-One facial cleanser : Such a great, simple, gentle cleanser! Love this. IT Cosmetics Hello Lashes mascara : I really liked this mascara for a natural lash. It wasn't anything incredible or life-changing, but a good mascara for every day use. note- items linked may not be exactly the same as what I'm wearing. If the item is no longer sold, I'll link something similar! I'm so obsessed with this song! I was listening to it all weekend and just kept it on repeat while I was cleaning this weekend. Really catchy! I saw Demi perform this on American Idol last week and was completely blown away by her beautiful, powerful voice. I've always been a big fan of hers and this just solidifies it! Every song that Fifth Harmony comes out with is really fun, and this one is no exception. I'm a huge fan of Florida Georgia Line! This entire album is so good if you like more of the pop-country genre. And now to completely switch gears, this is my classical piece of the week! I love listening to solo piano pieces like this in the evening to wind down and relax. This piece is beautiful! American Crime Show : I've always liked the concept of American Horror Show, but I'm a big scaredy cat and couldn't even make it past one episode of the show. I was really excited when I saw that the same team came out with a new concept of crime instead of horror. Right up my alley! The first season is all about the O.J. Simpson case. I think that this was a bold choice for a first season, but it's really interesting to get an up-close and personal look at this highly-publicized case. I think the show is fascinating and I'm completely captivated. American Idol : So many great performances this week! I'm still rooting for Dalton and La'Porsha, but my favorite performance was Trent. It honestly might be one of my favorite performances of any season of American Idol! Gave me chills the entire time and I loved his interpretation of such a classic song. Dancing With the Stars : The new cast was announced and I'm so excited! Right off the bat, I'm rooting for Antonio Brown (Pittsburgh Steeler, and one of three football players this season) and Mischa Barton! I'm also keeping my eye on Von Miller and Paige VanZant. Should be a good season! Who is excited for DWTS?! Anyone else have beautiful weather this week? I reply to all comments as well! I feel like what is the point if you don't... You always look so cute. I'm doing the thermal and jeans dance right now. Next week, when I am on the floor more, I might have to change that up, but it is chilly in there! I always appreciate when you respond to my comments! And thank you :) Thermal and jeans sound so comfy! I love baked oatmeal - I'l have to check out that recipe. I posted a yummy "banana bread baked oatmeal recipe" on Wednesday. Love the song suggestions. I really should make a new place list for 2016. It's a good one! And I'll have to check out your recipe! I love Pasta Puttanesca! Yum!!! Thanks for the info on the no-reply blogger. That's the hardest thing for me, as a blogger, because I respond to every comment on my blog. Sometimes I have to be a detective to find the poster! It's almost a full time job responding sometimes! haha! We also try to reply on other blogs that comment on ours. It's only fair, like you said. I have stopped commenting on a few that never want to connect w us. I never watch Dancing with the Stars but I may have to this season because I do like Jody Sweetin. I'm the same way..if they don't want to take the time to reply or visit then what's the point? Loving your outfits Gretchen! There are pieces I didn't even know you had, like the geometric cut out necklace. It's one of my faves. And you knowwwww I am excited for Dancing with the Stars. It will be different without Derek and Julianne but I'm sure I'll still love it. You inspired about half of my wardrobe Gina..haha! Love the white blazer // black dress combo. & pretty much everything ever posted on Budget Bytes. & hands up for some good weather around here. My co-workers laugh at me because I've been wearing sandals all week & have pretty much decided they're here to stay! I double checked with the link you posted, but luckily I fixed it right myself. I was a no-reply blogger as well until yesterday. Boo. Thanks Jessie! The blazer is actually a really light pink color but it always looks white in pictures. I love the little spot about empty products! I am thinking I need to go through my cabinets to clean them out... and see what I have used the most of! Stopping over from the link up. Hope you can hop by my blog as well! Have a great weekend! That pasta looks s good -Pioneer Woman can do no wrong in my mind!! I fall in love with that Express leather jacket every time you post it! It's the best. And I LOOOOVE your Friday Favourites! I usually take screen shots of the makeup recommendations! YAY! So glad that you like them Suzy! I'm still regretting not getting that Express jacket when you mentioned it was on sale near the holidays last year! Love both outfits! I reply to all comments as well! And then a bit ago I realized Wordpress needed a special plug-in to send the notification emails... I thought it was already doing that and felt awful. So needless to say I immediately installed it. Selma looks so happy about the warm weather! What a sweet happy girl! I wish Blogger had that plug in! I am loving the Bachelor this season.. I haven't seen the spoilers of who the next Bachelorette is but I am guessing Caila. Can't wait to see it! Your outfits are super-cute! I have recently been listening to the Lively show too and really enjoying her and her guests. Confession - DWS is what I watch when I'm on the treadmill. It's upbeat enough that I'm entertained. Any other time, I've lost interest. So it's my guilty pleasure on the TM. haha! Thanks for linking up to High 5 Friday! I love watching it on the treadmill as well! ahh so many things i want to comment on! i'm glad to find someone else who watches AI! i feel like i'm the only one. great outfits this week. Oh that necklace is so edgey, love it! And YES YES YES I love the warmer weather this week!!! Super excited for the new Bachelorette! She actually went to my high school for freshman and part of sophomore year. :) I've never heard of Good Earth tea, but that Citrus Kiss sounds right up my alley. Winter is the WORST! I always assume that Australia is just warm and sunny year round haha! A trip to the states sounds perfect to escape the cold. I just started listening to the Lively Show-so great to listen to after a long day at work! I'm totally loving the nice, spring-like weather! I hope it sticks! I also adore your outfits and that oatmeal sounds delicious! I also have to check out that shampoo from Trader Joe's. I never thought to get beauty products from there! I LOVE Good Earth tea! Their sweet and spicy is the bomb. I MUST try this citrus blend too! Love your outfit!!! I am going to have to pick up that Trader Joes shampoo! I love the age rewind concealer, I cant tell you how many times I have repurchased it. Your recipes look delightful! I listen to The Lively Show from time to time. One of my other favorite positive, motivational ones is Being Boss. Have you heard of it? They tailor their show towards creative entrepreneurs which I am a wanna be of but it applies to all career walks of like, really. the age rewind concealer is literally the only product i repurchase.. it's weird. i either don't use my other things up before i buy something new, or i just don't like them enough to repurchase. but that stuff? i have a box full of them in case maybelline ever decides to discontinue which you know, they probably will. love your outfits, those floral shoes are adorable! and that pasta looks so good.